Brands from every B2B and B2C industry sector have embraced the power of storytelling — whether it be branded storytelling or “true” storytelling — in their efforts to stand out and make a human connection with their audiences. Public relations and advertising agencies, and viral digital firms everywhere, talk about the power of storytelling throughout their websites and the importance of a brand’s emotional value. For the most part, social media is to thank for enabling brands, both B2B and B2C, to make a more transparent and genuine connection with people. In fact, Bryan Kramer, a social media strategist and CEO of PureMatter, goes as far to say that it’s no longer about B2C or B2B marketing. Instead, he says, it’s all about human-to-human. That is #H2H. Simply by virtue of what they sell, some organizations have had an easier time than others in making a genuine connection with their target customers. Most of us are familiar with emotional story telling from big consumer brands like Coca-Cola, Apple and Kellogg’s, to name just a few. B2B companies have to work harder at it, though. Historically, emotional storytelling hasn’t come as naturally to B2B companies like Analog Devices, Inc., a semiconductor manufacturer, or Abbott Rubber Company, a manufacturer of industrial hoses and rubber products. The emotional stories exists for these brands, but to find them they need to dig deeper and include every employee, and not just their marketing and sales organizations, in their search. The good news is that more and more B2B companies are recognizing the power of stories and are using social media, as well as traditional channels, to share them. They are using new channels to share new angles about their organizations and are even having a little fun along the way in their quest to emotionally connect with stakeholders. If a supply chain management company, a provider of correction fluid and a maker of networking equipment can do it, then so can yours. 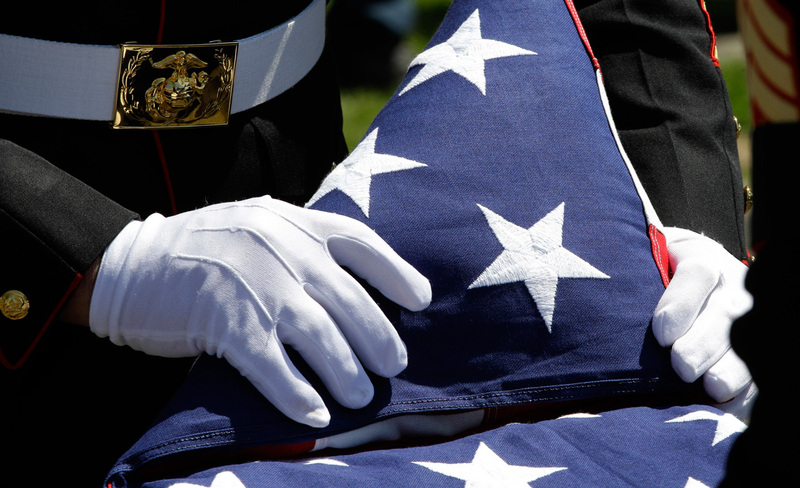 Have you ever watched a U.S. military honor guard fold the American flag at a veteran’s funeral? If you have, did you notice the honor guard’s striking appearance and presence, their laser-like focus on the task at hand, their dexterity as they expertly folded the flag 13 times until it took on the appearance of the hats worn by colonists during the Revolutionary War? And how they held the flag when they presented it, once it was completely smooth and its corners tucked in and it was perfect, to the survivors of the deceased? No pun intended, but an honor guard does not cut any corners when it comes to the ceremonial folding of the American flag, when it comes to doing their job as perfectly as possible or when it comes to presenting the brand they stand for in the best possible light. This week, at a funeral for the father of a good friend, the friends and relatives who stood outside in the cold to say their last good byes also witnessed a brilliant display of workmanship and brand ambassadorship, thanks to the honor guard. To start the flag folding ceremony, the two young guards pulled Old Glory on each end until it was taught and then held it steady as possible waist-high. With the flag now rippling in the breeze, the guards — making only eye contact with each other — began the methodical 13-step process they have rehearsed countless times. Though skilled in their job there was no hurry in their actions, no distractions or multitasking at play, no desire to cut a corner. Just the will to respect the deceased and his grieving loved ones. But also the desire to live the brand they hold so dear — and to do so perfectly. Precision, attention to detail, professionalism, engagement and commitment to their brand. That’s what I saw in the U.S. military honor guard at William Joseph Casey’s farewell. They are everything any organization could want in a brand ambassador.